Click here for RealAudio comments 5 by the composer, 2:47. In RA 14.4. Click here for RealAudio comments by the composer, 2:27. Click here for RealAudio version of Improvisation, 3:36. Click here for TrueSpeech version of Improvisation, 3:36. Click here for MPEG-2 version of Improvisation, 3:36. Born in St. Louis, Missouri on January 2, 1967, the eighth of ten children, and raised on a farm in Winfield before moving to Chesterfield, a suburb of St. Louis, in 1977. At only her second recital, at age 12, in addition to performance of Maple Leaf Rag, Anita also performed her first composition. 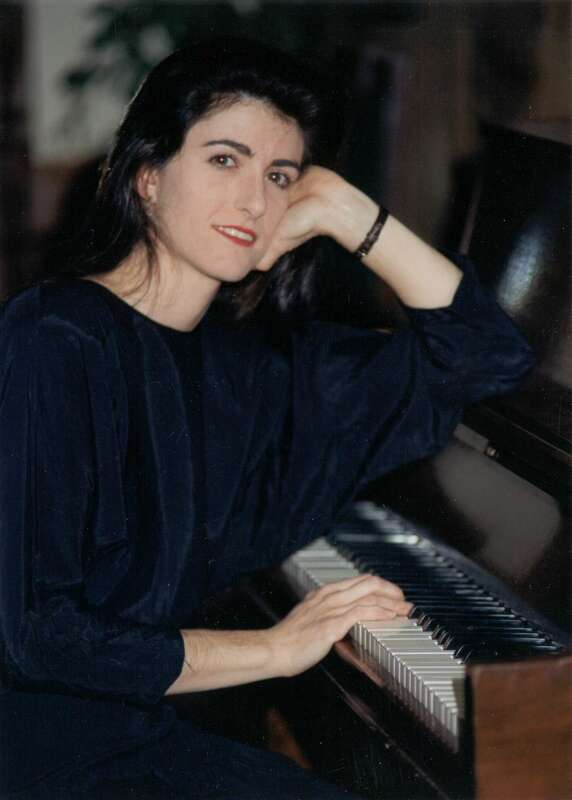 Throughout high school Anita performed on piano for all musical events, having been greatly encouraged by the Director of the Music Department. In addition to private study at the time, she was also involved with the Music Department both as a student and as an assistant to the Director for accompaniment and instruction of small choral groups. 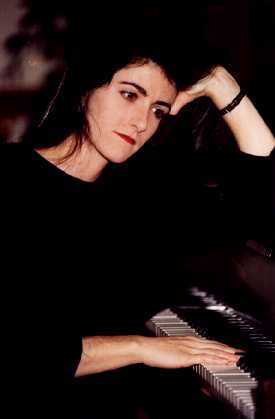 After receiving her degree in physics from the University of Missouri and a brief career working in the environmental industry, Anita moved to Vermont in 1993 and has returned her focus to music. She is composing and performing on piano full time. Anita's hobbies outside of music are road bike touring, rock climbing, and downhill skiing. Black & Whites on Display cassette: 60 minutes of originally improvised pieces. Fishing in Vermont film soundtrack: a 20 minute promotional documentary produced by The Marketing Cooperative for The Vermont Department of Fish and Wildlife.